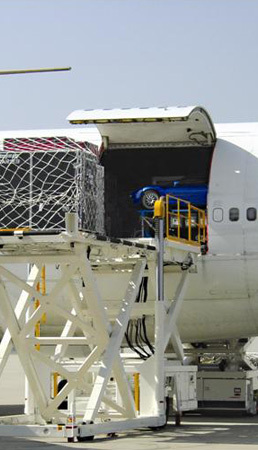 Centrally located just 60 miles east of Los Angeles in one of Southern California’s major transportation corridors, SBD International Airport is the ideal location to manage your air cargo and logistics. The Airport’s modern infrastructure is perfectly positioned at the center of a multi-modal transportation corridor. 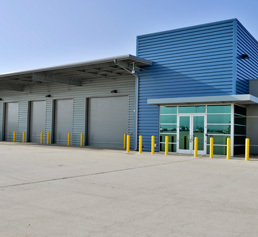 SBD International Airport is literally surrounded by major interstate freeways and is within four miles of an intermodal BNSF Railway facility. With our newly expanded, state-of-the-art airport infrastructure, SBD is poised to accommodate significant growth in air cargo. SBD’s spacious facilities, include: a 10,000’ x 200’ runway, acres of available concrete ramp, uncongested airspace a new cross-dock cargo building, and nearby warehouse space to accommodate shipping and receiving needs of all sizes. SBD offers significant new development opportunities and expansion potential, at very competitive rates for air cargo companies and freight forwarders. Más información sobre servicios aéreos de carga y oportunidades en el SBD. Conexiones regionales e interestatales fuertes, con proximidad a las principales autopistas interestatales (I-10, I-210 I-215).